!!! - nominated for the Dansih award Carl Prisen 2019 !!! "Composer of the year - Roots"
Musician/fiddler, composer, teacher, band leader, arranger, theatre musician, member of boards and artistic researcher. Concerts in Denmark, Norway, Sweden, Finland, Germany, Poland, Belgium, Neterlands, Austira, England, Ireland, Italy, Canada, Iceland and Japan. 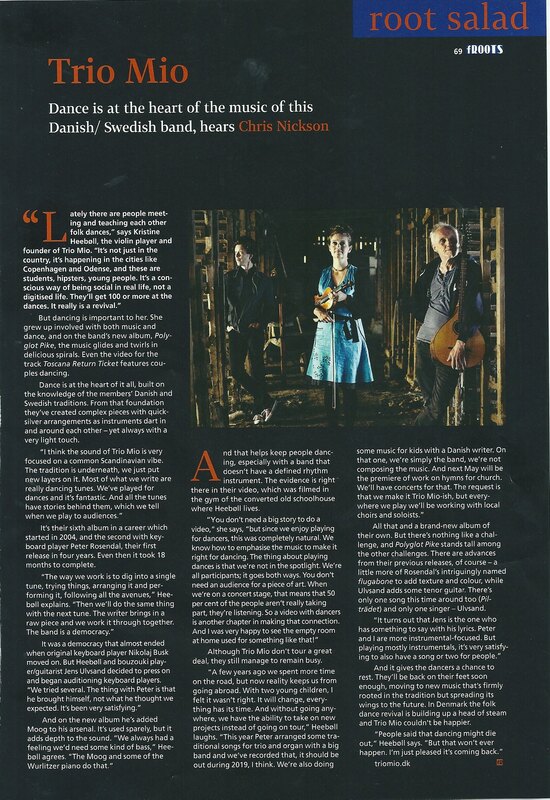 I was interviewed in "fRoots", the great folk music magazine . Chris Nickson summons up in Roots sallad: "Dance is at the heart of the music..."
Documentation about my work from the start up phase for an artistic research project. Together with Danish National Academy of music - and a bunch of wonderful dancers and musicians. From the podcast "fiddlers secrets"
In Radiofolk.dk - where I tell about the ideas about folk music and composition, why it is fun and why it is necessary to keep respect for the tradition.